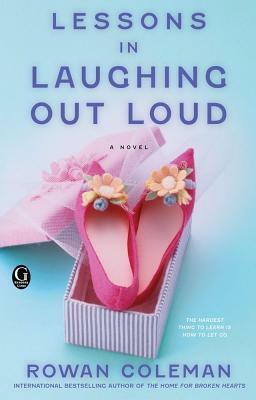 Internationally bestselling author Rowan Coleman delivers a heartwarming new tale about a recent divorcee who finds the courage to tackle her weight issues, her love life, and the dark family secret that has haunted her for years. Willow Briar (known as Will) is thirty-six-years old, five feet two, and a size eighteen. Now that she’s divorced, Will’s social life revolves around her job—working for her demanding talent agent boss Victoria Kincade—and her best friend Daniel Fayre, a successful fashion photographer for whom she harbors a secret crush. An identical twin, Will has struggled with her self-esteem for years—particularly when she looks at her slim, married, happy sister. One day she finds her luck suddenly turning around after buying a fabulous pair of vintage shoes that make her feel slimmer, taller, and sexier. These shoes seem to have a secret history, and Will starts to wonder if they are a little bit magic. Little does she know not even a magic eight ball could predict the shocking turn her life is about to take or that the courage she needs to confront her deep-seated issues will require more than a fashion makeover—it will take a life makeover. Armed with newfound confidence to begin her journey, Will finds the courage to face the dark family secrets of her past—and claim the future meant for her. Rowan Coleman worked in bookselling and publishing for seven years during which time she won the Company magazine Young Writer of the Year award. She is the author of twelve novels, including Runaway Wife, The Accidental Mother, The Home for Broken Hearts, and We Are All Made of Stars. She lives with her husband, daughter, and sons in England.